We all know about traditional orthodontic braces and what they look like. Basically, braces are brackets affixed to the teeth, with metal wires and rubber bands which are weaved through to move your teeth to the desired positions. Their function is to straighten them over time and they are very effective. However, traditional braces have a problem - they don’t really look all that nice. Teenagers and young adults are more self conscious in their everyday appearance. Ceramic braces are an alternative for traditional braces. But they are similar to their metal cousins, the big exception being they are more in line with tooth colour. Another option is invisalign braces. Invisalign is a viable alternative to traditional braces (for the most part). 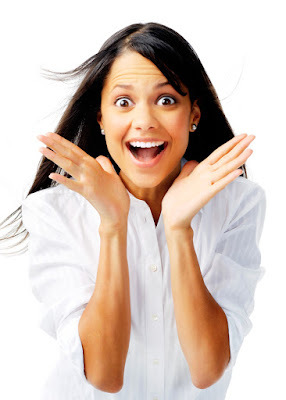 Invisalign is not for everyone and they are best for adults or teens. Your dentist or orthodontist will help you decide what’s best for you. The greatest benefit to Invisalign is the “looks”. They detract very little (if at all) to one’s physical appearance as they are clear, plastic-like “slip on” devices and they do look good (in fact, good means in “not being able to tell they are there.”) So they are very popular with the adult crowd for this reason alone. Unlike braces, you can remove the aligners while you are eating and you have the flexibility to eat and drink what you want during the treatment. This is not only great from a comfort standpoint, as food doesn’t get stuck in odd places, so the risk of plaque is lessened with easier cleaning of teeth. Invisalign is often pain-free, or, at the very least, less painful than metal braces. Traditional braces use metal brackets or wires which could cause irritation to your mouth but Invisalign doesn’t hurt. Besides, you have to spend lesser time in the doctor’s chair and scheduling appointments, and more time out doing the things you love. 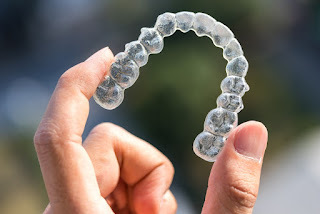 Most importantly, Invisalign allows you to analyze the treatment plan and virtual results before you start the treatment, using advanced 3-D computer imaging technology. The good news is the science behind tooth movement with plastic aligners grows at an exponential rate, due to the digital technology. Always seek a consultation from a qualified Invisalign provider to get a time and cost estimate for your particular needs. Malocclusion (misalignment between the upper and lower teeth as you close your mouth). Mild overbites (top row of teeth reach down over the bottom row) and Mild underbites (bottom row of teeth reach up over the top row). Open bites and Crossbites (type of malocclusion where your teeth are not matched up in position to the corresponding teeth on the upper or lower jaw as it is either closer to the cheek or tongue). Excessive overjets (lower teeth and/or lower jaw not keeping pace with the forward growth of the upper jaw). The only way to know if you are a good candidate for invisalign is to have a consultation with an orthodontist. Thangam's Dental Clinic is one of the best Dental clinic in Tamil Nadu located in Mylapore, Chennai, providing best dental services for all the dental related problems with international standards at a budget affordable to all. Thangam's Dental Clinic provides the best invisalign braces in Chennai and it will be a great experience for patients.